This announcement wraps up so many of our favorite things all into one!! In case you didn’t hear, Epic has been asked to represent Harmony, Inc. on the World Harmony Jamboree this summer in Vegas, which takes place in conjunction with the Barbershop Harmony Society’s 2014 International Convention. 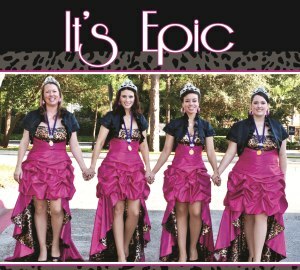 We are so thrilled about this opportunity and honored to represent our amazing sisters in Harmony, Inc.! As you might expect, we’re doing a bit of fundraising to get out to Vegas (Epic in Las Vegas… scary, we know). But naturally, we’re not your run-of-the-mill quartet and we’re not offering a run-of-the-mill raffle. So here we go… are you ready….erhmagawd, so excited to announce…. We’re raffling off a pair of CROWNS!! How amazing would you look in THESE!? 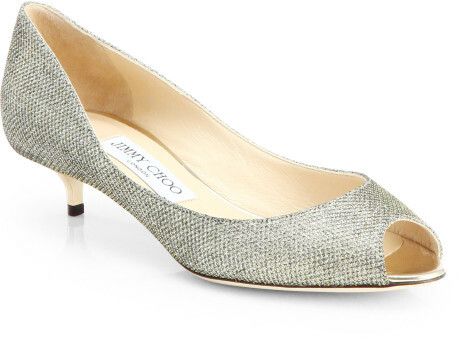 Jimmy Choo Crown pumps… a sight to behold! No, no, no… not our tiaras (someone will have to pry those out of our cold, dead hands at some point). We’re raffling a pair of $695 Jimmy Choo CROWN pumps!! These shoes are simply the most amazing things we have ever laid eyes on and they could be YOURS. For real. For each $30 ticket, you will receive one chance to win the Jimmy Choo Crown pumps. You may enter as many times as you wish. These are the real deal, sister…they will be ordered directly from Nordstrom! We will order them when the winner is drawn so that they fit her! If you don’t want the shoes, you may select a $500 cash prize instead. Epic cannot be held responsible if retailers suddenly stop selling these shoes. We don’t want to to order them, of course, until we know which style the winner prefers and her size. But no matter what, the winner is going to get an amazing pair of Jimmy Choos at an equal value (or the cash payment, if you prefer) as soon as the contest deadline has passed. The winner will be drawn on MARCH 30TH in front of a live audience and it will be videotaped and posted to Epic’s Facebook page. We are offering 100 tickets ONLY. Not a single ticket more than 100. Epic must sell a minimum of 50 tickets in order for this raffle to take place. If we do not reach the necessary minimum, your contribution will be returned in full. But don’t worry… we’re really motivated to sell more than 50 tickets! We must receive your payment (via check or Paypal) by March 29th at midnight for you to be entered in the drawing. If you win, you may need to send us regular pictures of the shoes. We will miss them soooooo much. We love you all so much and we are SO GRATEFUL for your support. This performance is a dream come true for us and we thank you for supporting our journey! Enter with the form below! Not a fan of heels? No worries! These gorg Jimmy Choo Caitlin shoes could be yours!